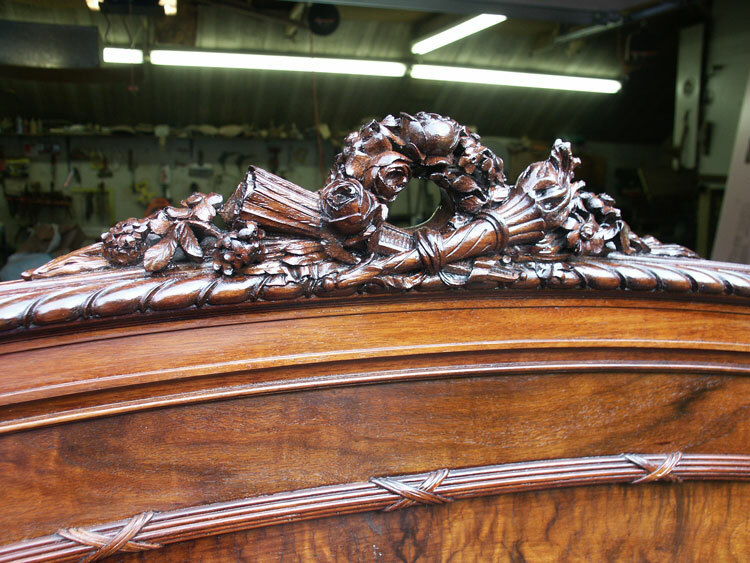 This is a unique piece, it's hand carved in mahogany, showing amazing detail and deep relief. This unit must have taken hundreds of hours to complete. 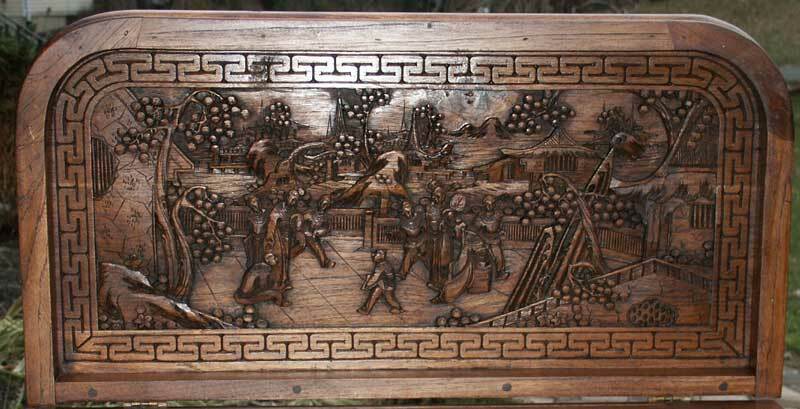 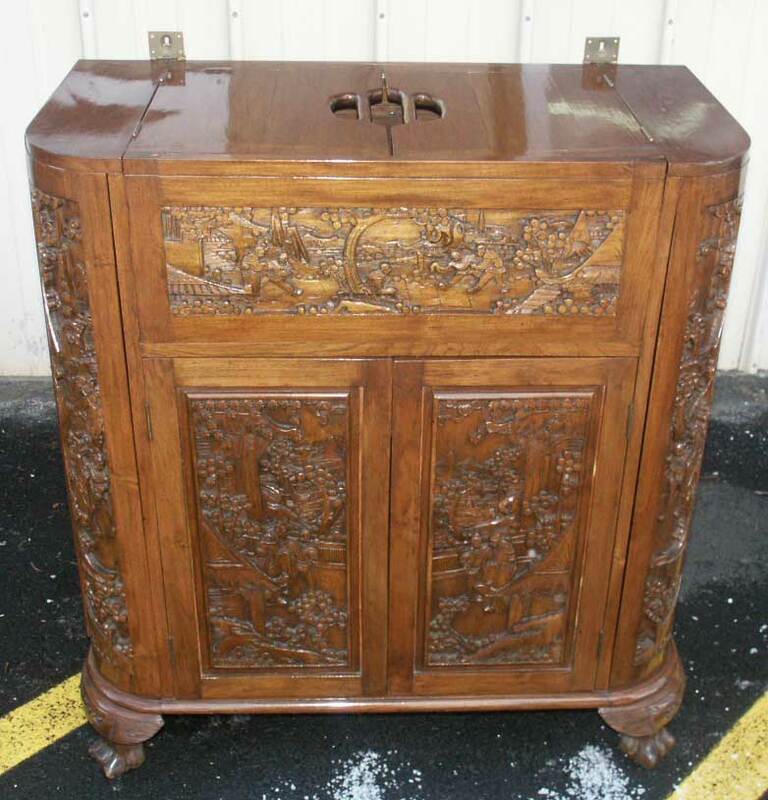 Amazingly Asian made pieces hold a fraction of the value of their American or European counterparts, but the craftsmanship meets or exceeds Western standards. 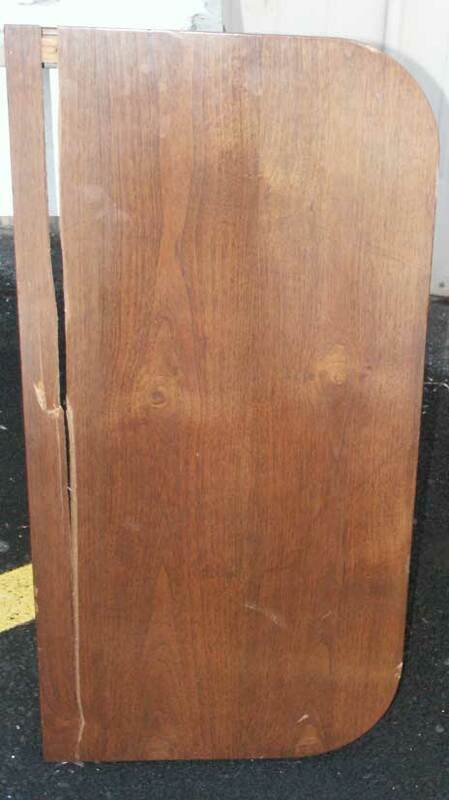 We retrieved this piece with a shattered lid, covered in what appeared to be a polycrylic finish which had to be removed. 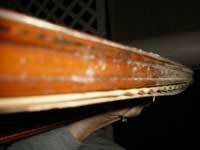 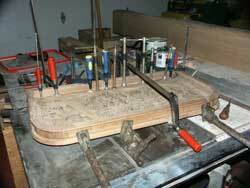 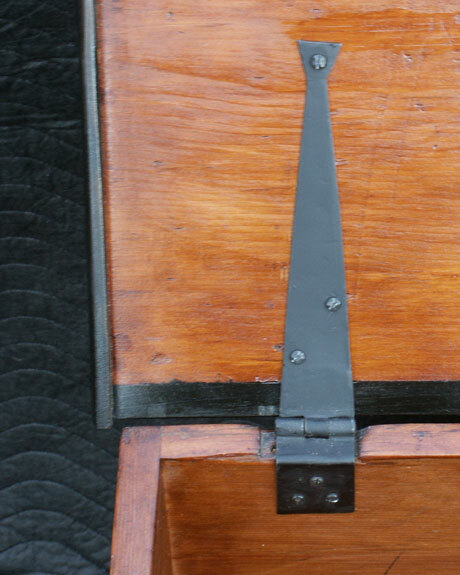 The lid was restored using just a few clamps to get all the shattered splinters forced back into line. 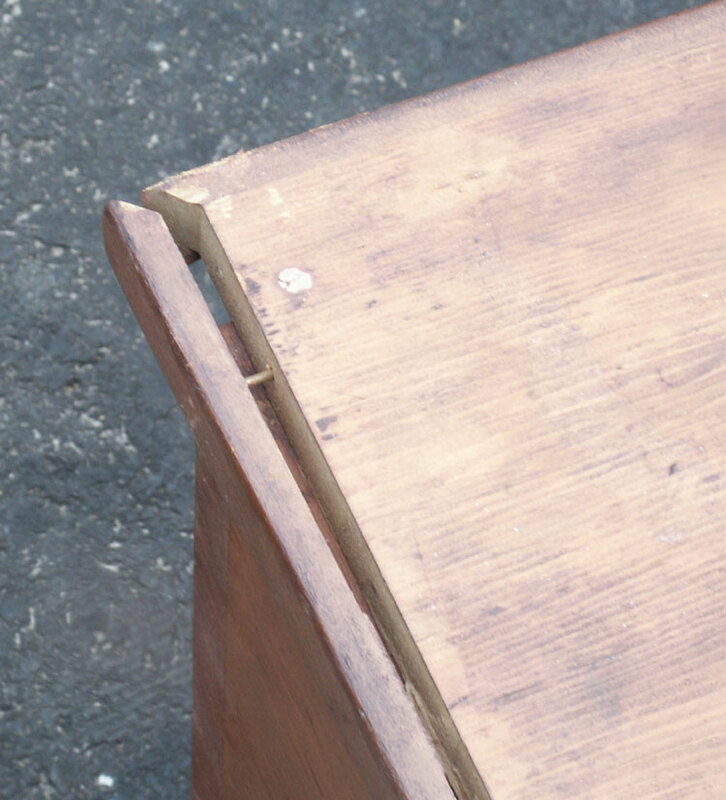 If you don't know just the perfect spot to look, you'll never notice this lid was ever split. 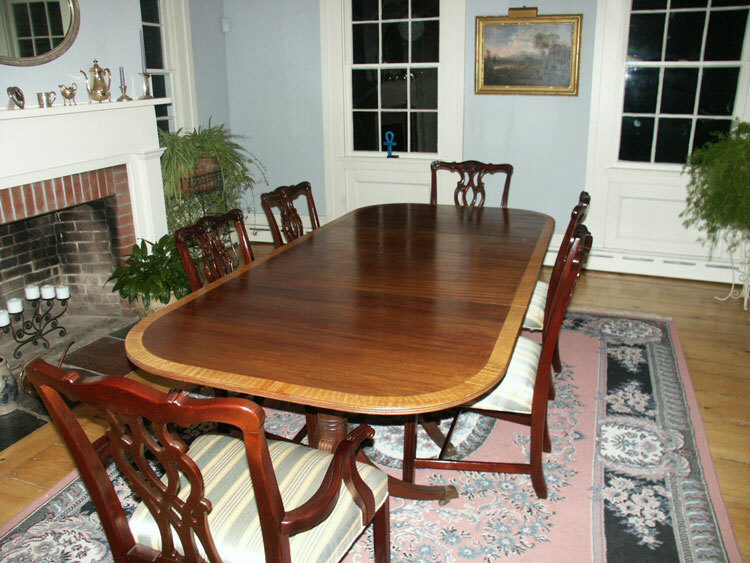 We refinished the unit in a hand rubbed satin tung oil, brining out the carving and eliminating the previous glare issue on the piece. 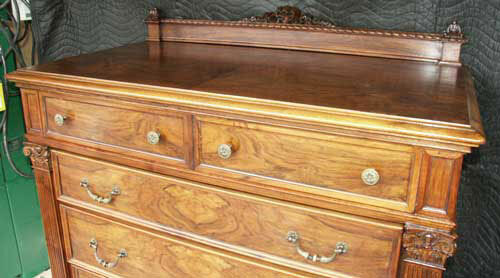 The original lacquer finish on this bedroom set was dry and cracked, and the units in need of attention. 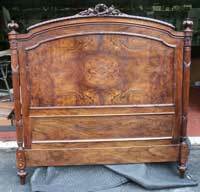 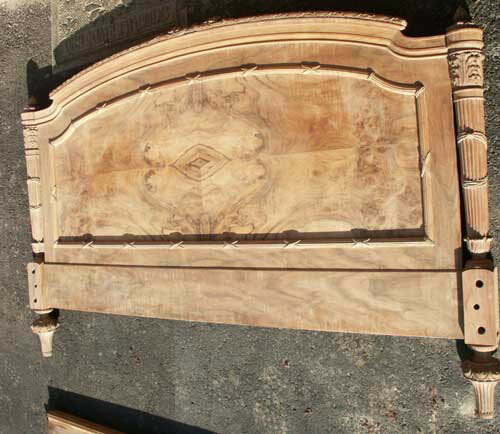 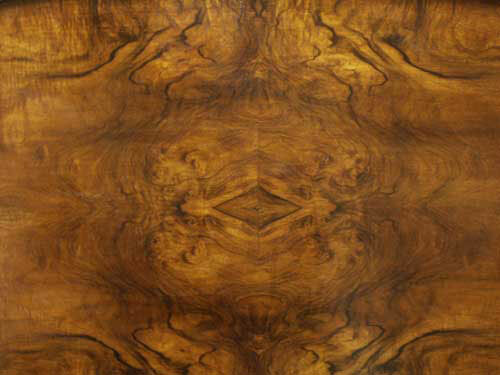 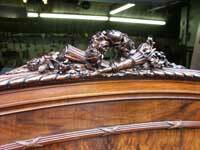 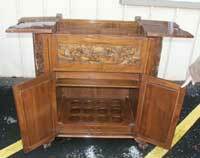 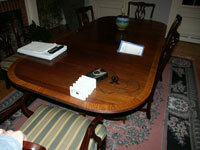 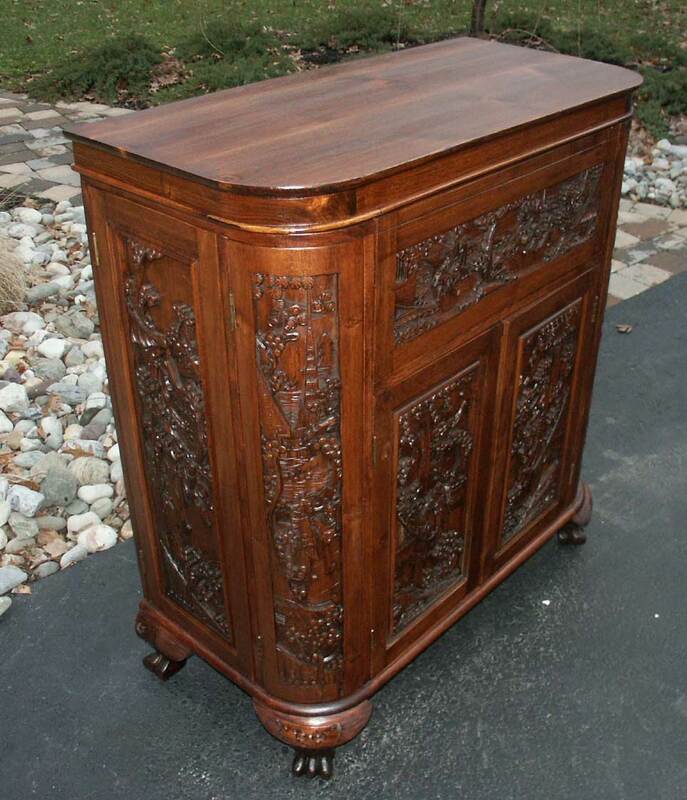 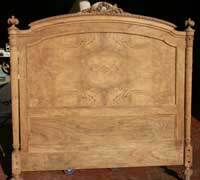 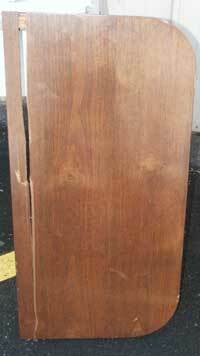 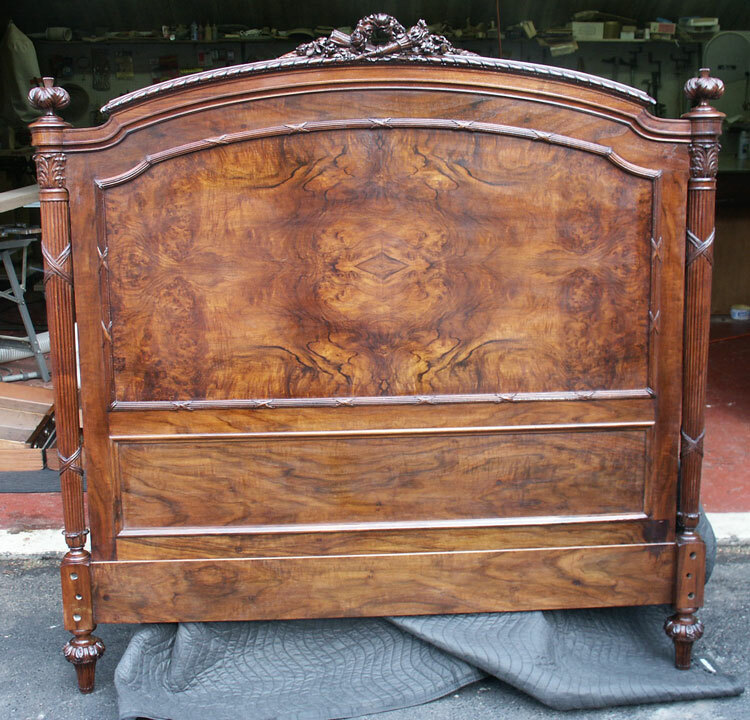 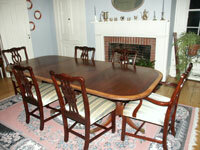 What makes these particularly special is they are perhaps the best quality machine made furniture we ever restored. 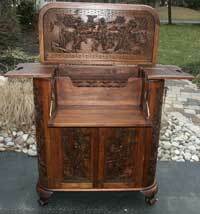 The solid wood pieces have all mortis and tenon joints and a beautifully crafted and matched walnut burl veneer. 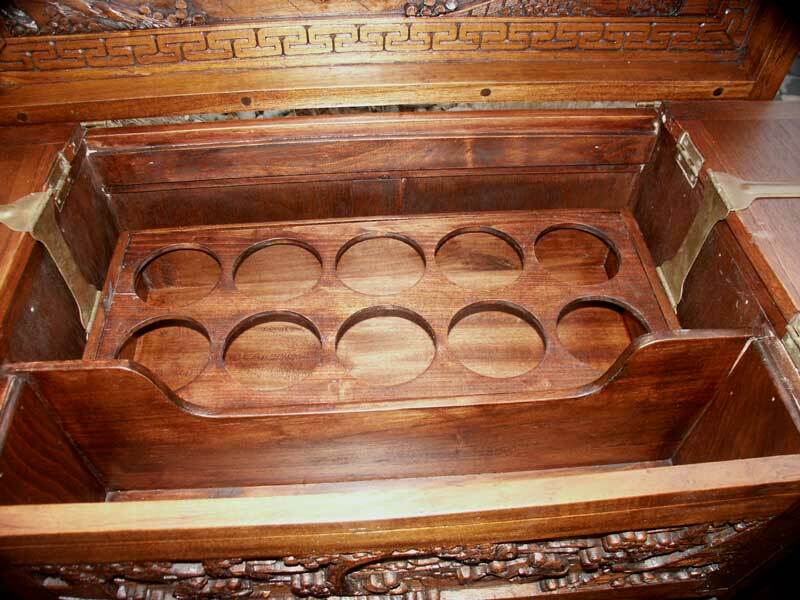 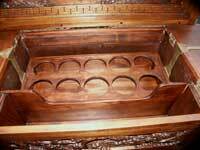 Even the insides are walnut or mahogany, with paneled frames between every drawer. Substantial, heavy, and works of art this set in restored condition is easily worth $15,000. 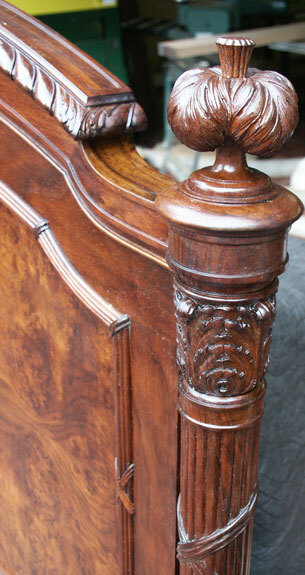 The pieces were first stripped by the Furniture Mill, and brought to our shop to receive a well deserved heirloom quality finish. 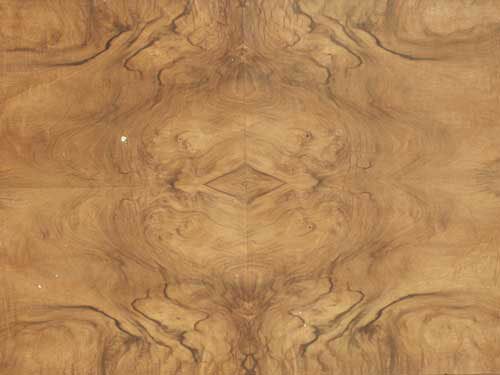 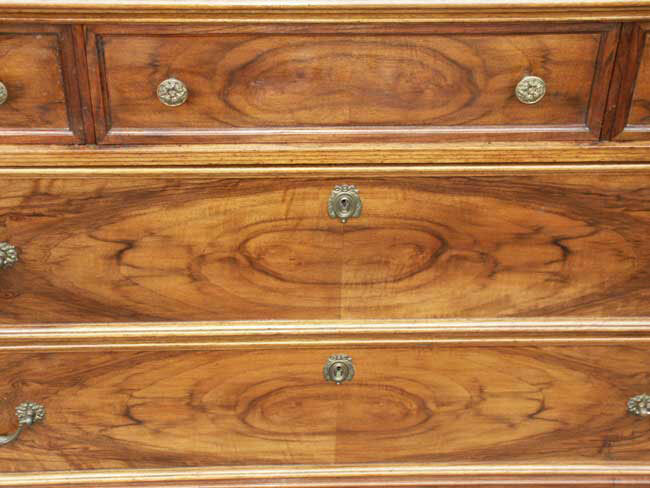 The hand rubbed heirloom quality shellac and tung oil finish brings up an outstanding natural beauty of these European Walnut pieces breathing in new life and making them into modern heirloom furniture. 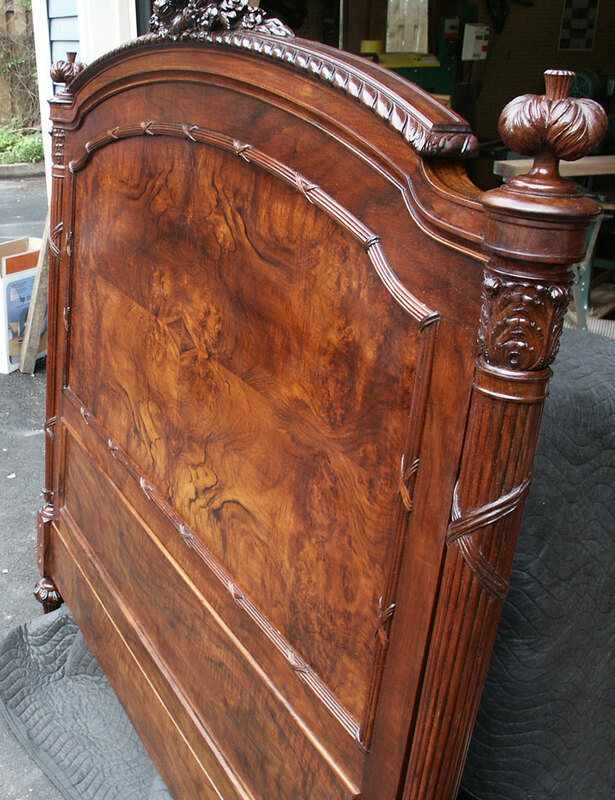 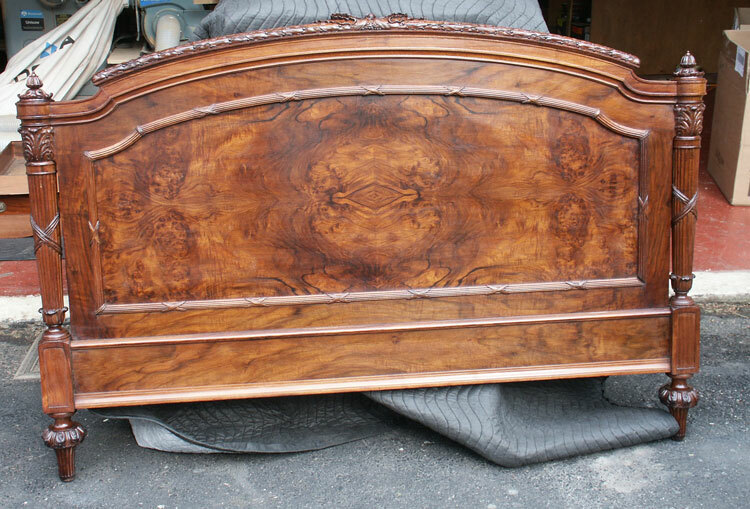 Before and after photos of the bed show the power of finish to bring out the outstanding grain patterns of these pieces. 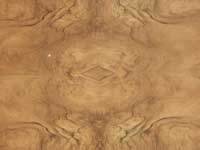 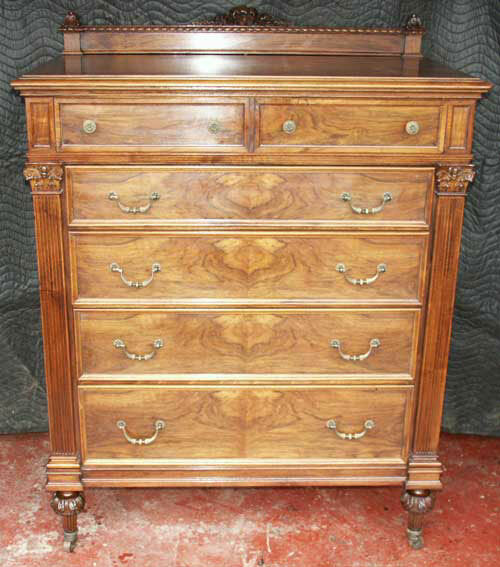 We were very pleased with the results, and we will happily work on furniture of this quality even though they are not antiques. 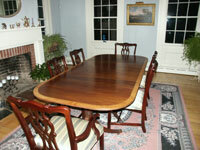 Simplistic, country rustic, pine furniture has an allure some can't resist. 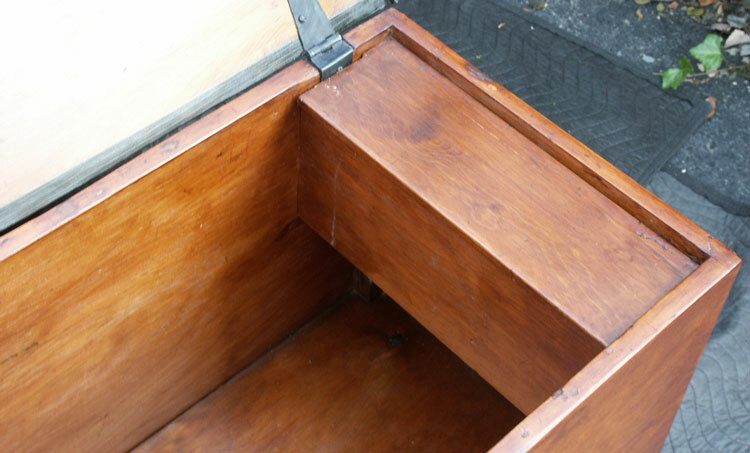 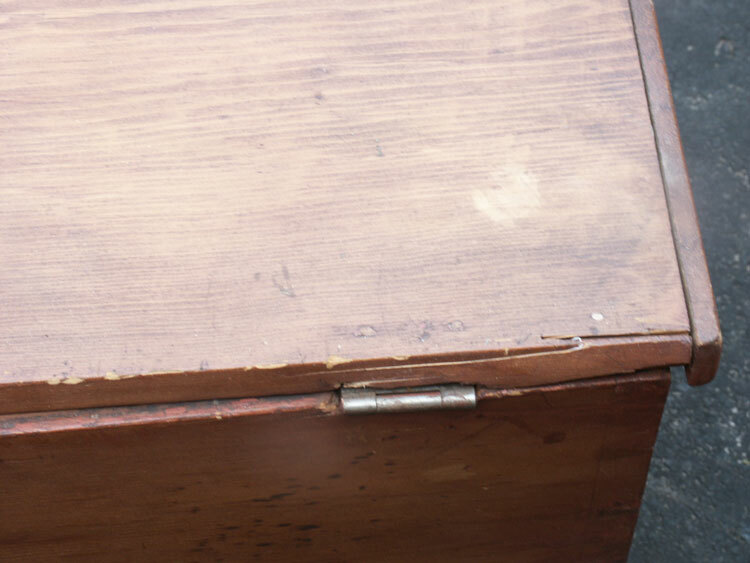 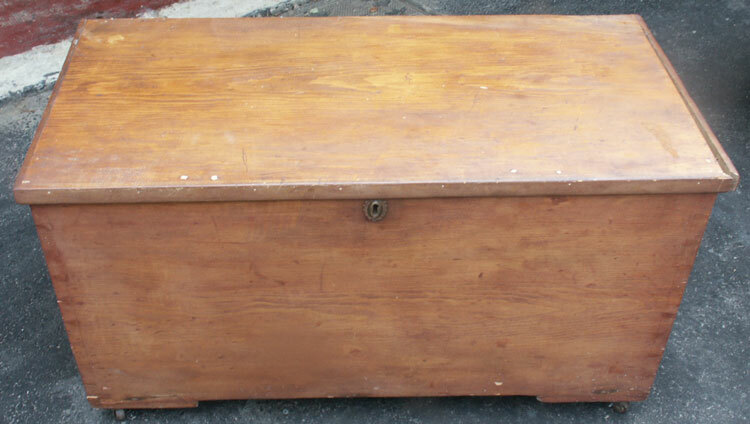 This hearty little chest survived quite a while, past pine's tendency to crack, warp, and twist resulting in much of the early furniture turning into firewood over time. 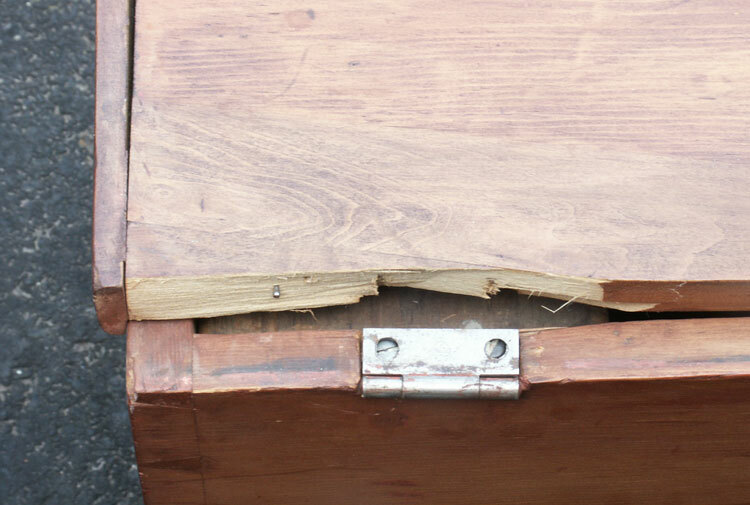 Brought to us with broken hinges, a 1950's reddish finish, and dry as a bone. 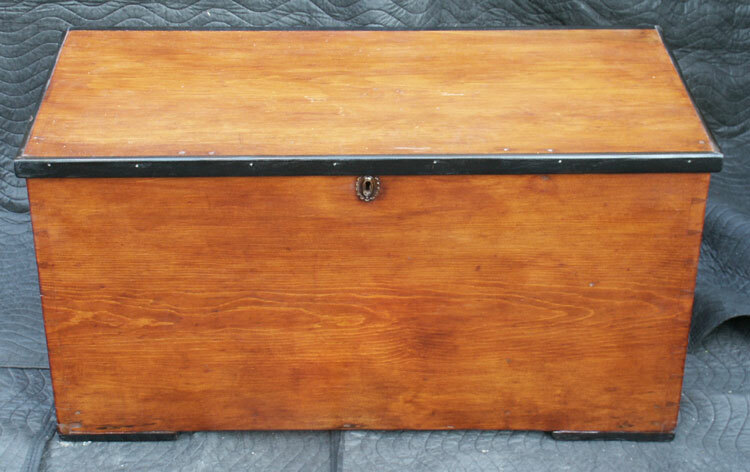 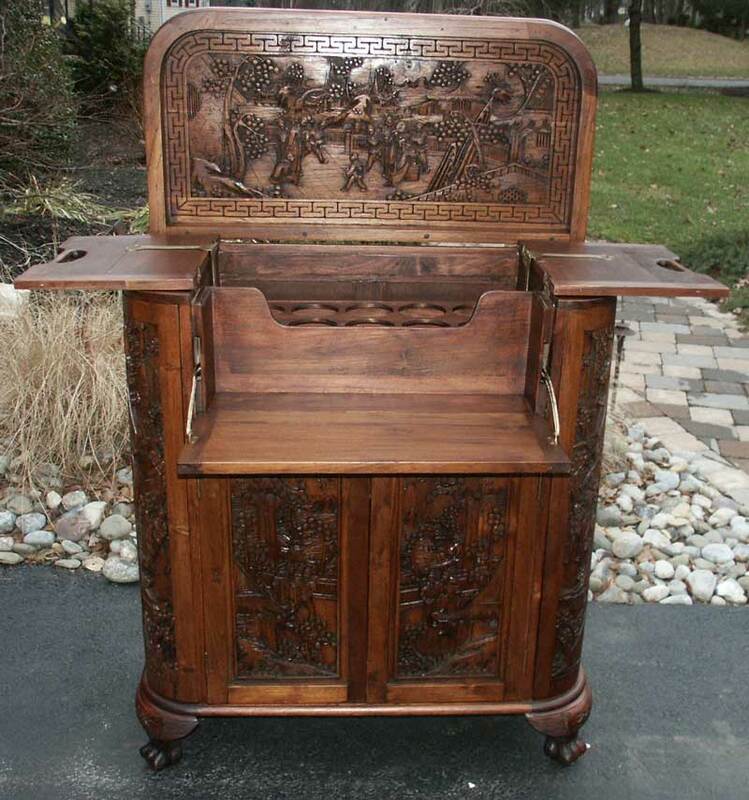 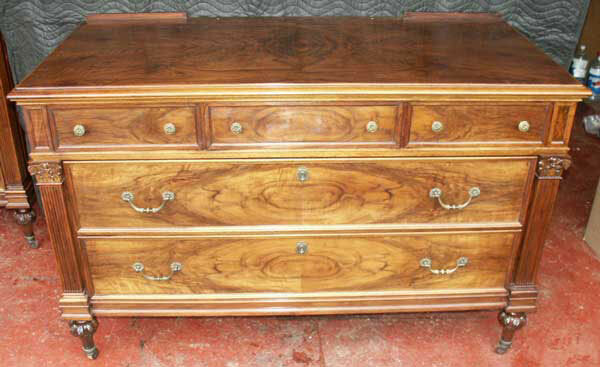 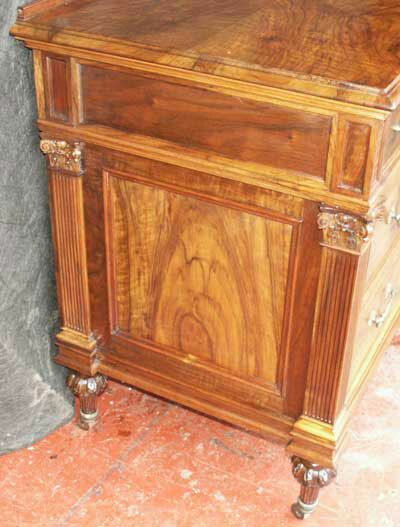 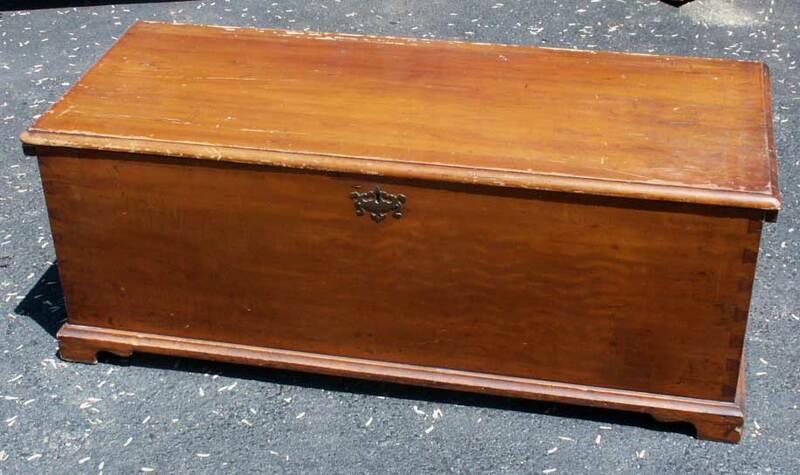 Cherry Chest - this heirloom faced many previous attempts at restoration. 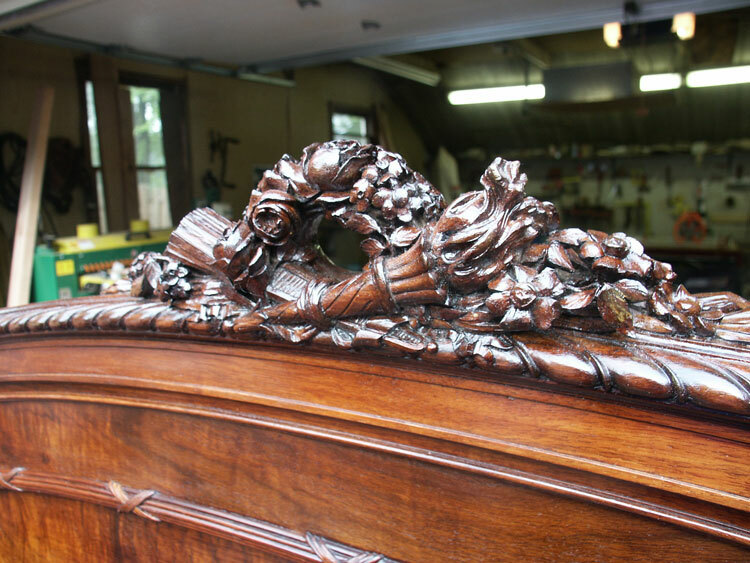 Now out for removal of an old lacquer, it will return to our shop soon to be hand rubbed in tung oil varnish to show off the natural cherry patina. 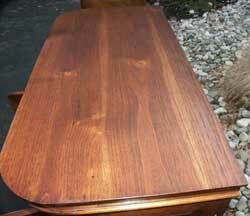 Refinished in an heirloom quality Waterlox tung oil finish this Duncan Phyfe style dining table is set for another lifetime of abuse. It's hard to see the detail in a photo, but the original before photos (Below) show a lacquer finish beginning to yellow and dry out. This set is solid mahogany, and would cost at least $5,000 to replace today with a new piece - upwards of $10,000 from a high end furniture maker. 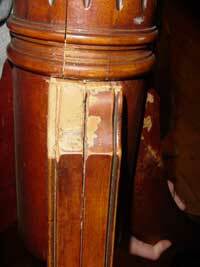 Restorations breath in new life for a fraction of this cost. 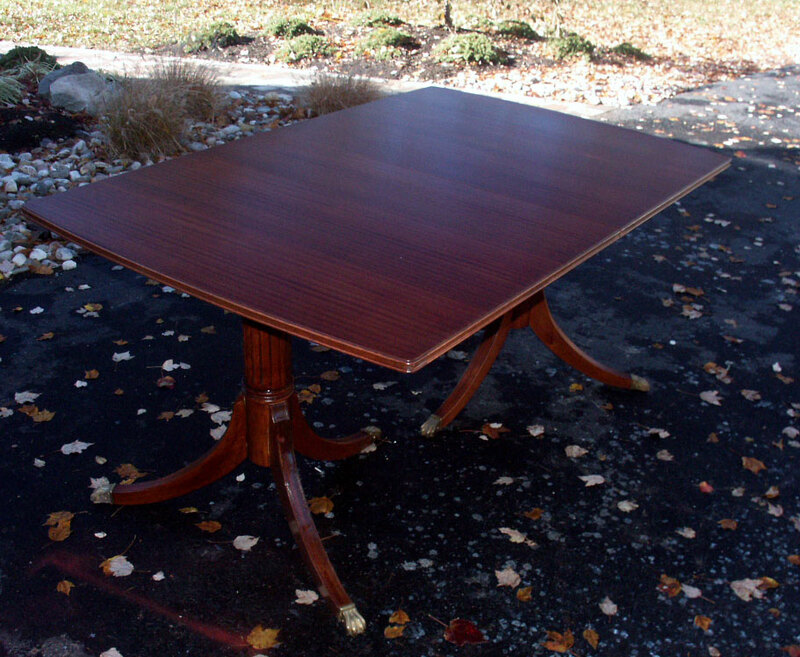 Duncan Phyfe designed for beauty and form, not always for strength. 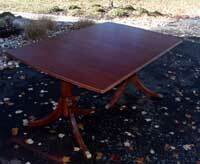 Pedestal legs on these tables often crack or break loose. 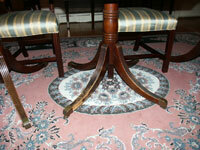 Artisans can restore or replace any missing or damaged legs. 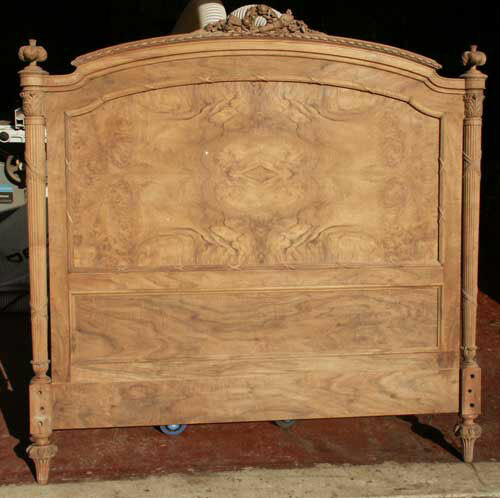 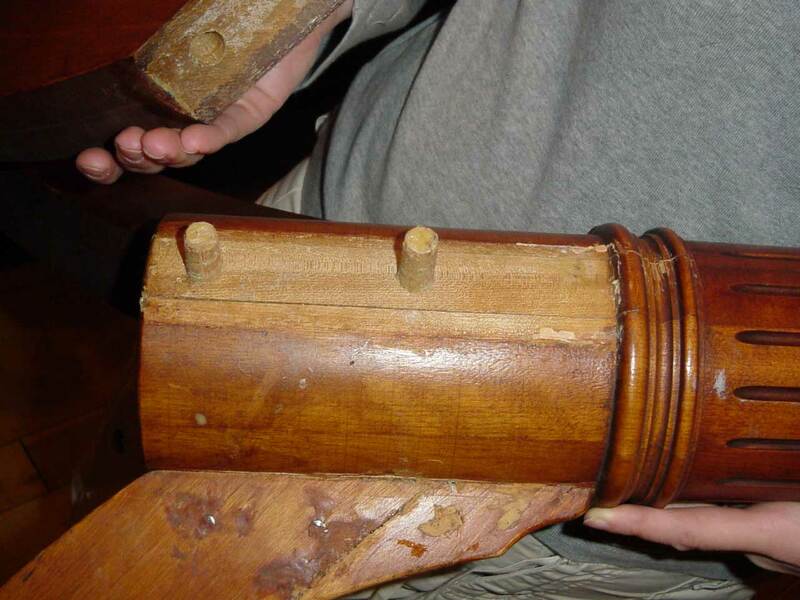 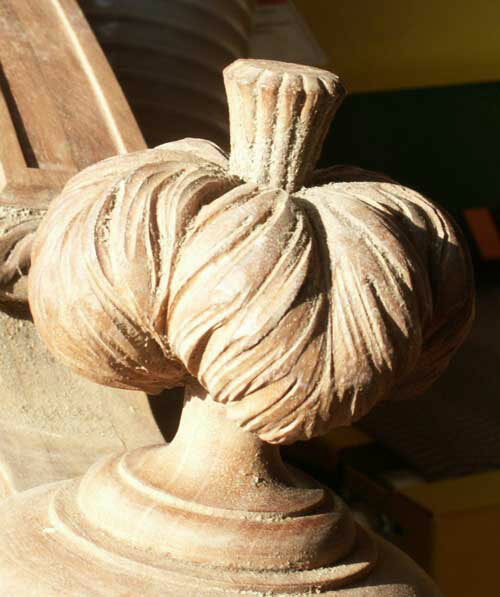 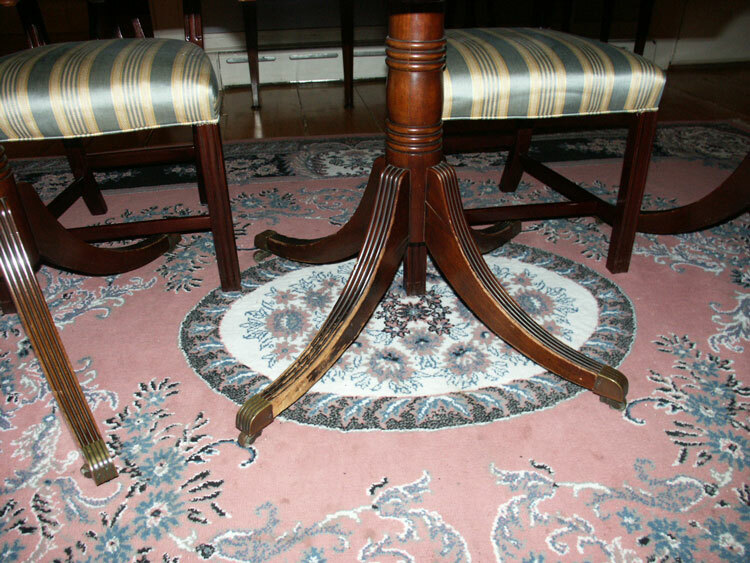 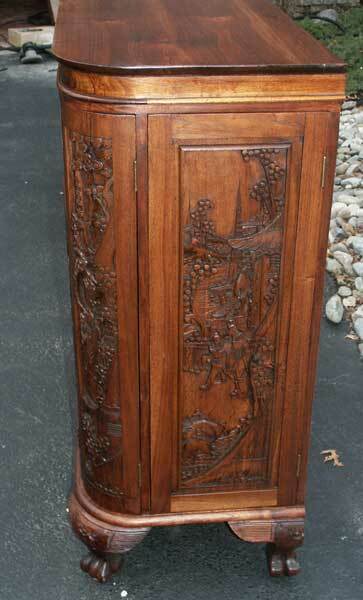 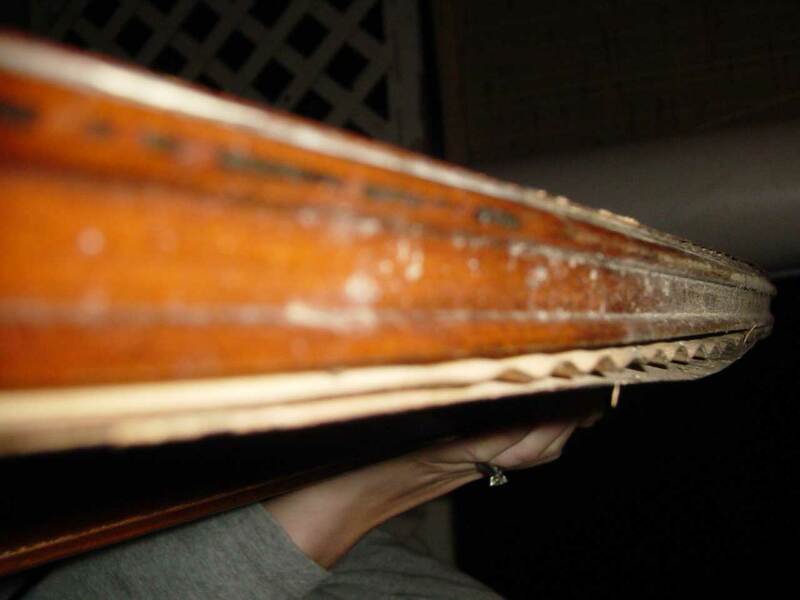 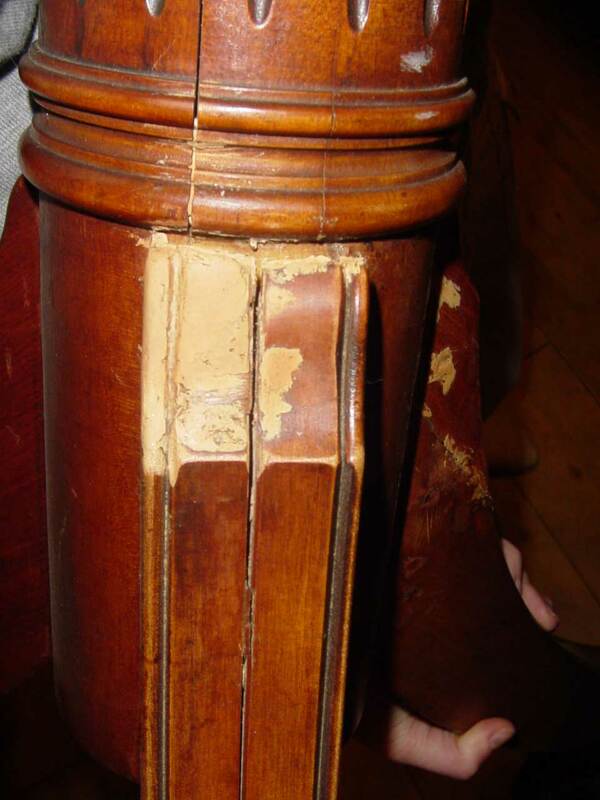 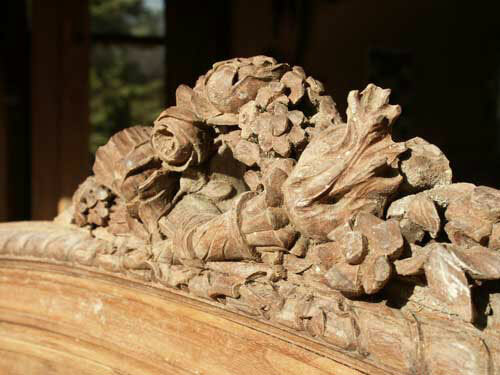 Before Restoration - Damage to feet and pedestals, common from chair bumps, vacuums, dog chews, etc. 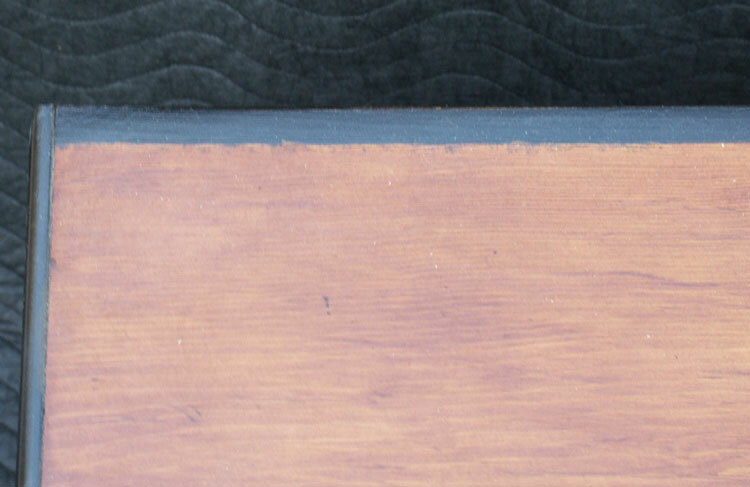 Surface finish was chipped, dry, crazing, and discolored. 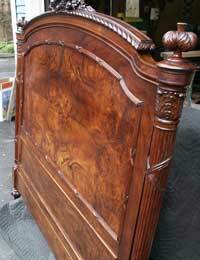 Second round, another great example of a Victorian Reproduction Duncan Phyfe table. 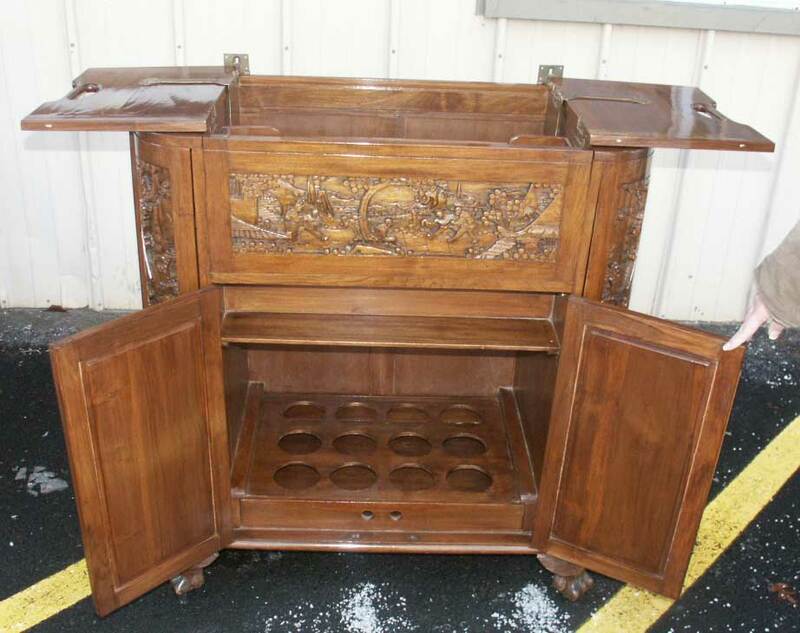 This piece came to us with two shattered legs, one we completely replaced, extensive water damage on the top, and a completely deteriorated finish.